Autoresponders are one of the most competent features of email marketing services. They play an important role in newsletter broadcasting and email marketing. Informing them about an upcoming service or product. AWeber has one of the topmost and oldest autoresponder tools of the industry. It comes with more than 3000 fee stock photos and more than 700 email templates to help you generate striking emails. Its tracking and analytics features are the best in the whole industry. If you need help at any point, live support is also available via phone, email or chat. AWeber offers reliable services at the most reasonable prices. Prices: 30 days FREE trial and then $19/month for the basic package. Rates are different for other packages with more features. More than 2 million people use MailChimp, which has FREE option. MailChimp lets you send automated emails depending on customer preferences and behavior. It lets you create autoresponder emails easily and you also can set up the event to quickly trigger this autoresponder, choose the day and right time to send them to your subscribers. Their support is also outstanding, which is something many auto-responders do not do well. Prices: Free for a month and then $10/month. This autoresponder lets you send automated emails easily to a chose subscribers list. Creating autoresponder emails is super easy in MailGet. You have to fill the general field like Name, Subject, email and Message under the autoresponder setting, set up emails of your choice and begin sending them to your contacts. MailGet autoresponder is used by hundreds and thousands of companies in the world across every vertical and industry. Prices: Starts at $29/month. Packages depend on number of subscribers and emails. Constant Contact is another great autoresponder tool used by more than half a million people in the world. It has an excellent deliverability rate along with all the important features of a good autoresponder. Constant Contact lets you create autoresponder emails, assign them to specific contacts list and begin scheduling them on specific time and day. You also get a complete report of the send emails like number of bounces, opt-outs, spam, forwards and clicks. To automate your email marketing campaigns, GetResponse offers action-based and time-based autoresponders. It sends series of emails automatically on the scheduled time or date that you once set up. In addition, you can create and even set up automated messages to deliver to every subscriber on particular actions that they take after they subscribe, such as contact sign-up, opens, clicks, completed transactions, etc. Their support over email and phone is excellent. Prices: Starts at $15 / month. Prices vary for different packages. Another auto responder tool that is definitely worth considering is iContact. With this tool, you can create and name autoresponder emails quickly and also can set the particular date range like ending and beginning date to do that autoresponder. You also can track your auto responder email performance by viewing the total number of opens, clicks, unsubscribes, complaints and bounces. Irrespective of your lit size, this tool has options to send newsletters with 99% delivery, real time tracking and reporting. Using this autoresponder tool, you can generate as many numbers of autoresponders as you wish for, every one targeting a particular email list. This tool lets you schedule individual emails at specified time, day, week, month and year too. You can also send automatic birthday email to all your subscribers. Benchmark also gets the autoresponder reports for describing the activities of autoresponders. It has individual reports for Opens, bounces, clicks, etc. Prices: 30 days free trial and then $73.95/ month for basic plan. More plans available based on number of subscribers, emails and volume. This autoresponder tool provides time based autoresponder to send birthday greetings, welcome messages, and many other data based campaign to your contact. When the autoresponder starts, the reports will be created to show clicks, opens and unsubscribes. Their award winning customer support team is available at any time, night or day to answer all your questions and queries. It is another feature rich autoresponder out there in the market. It offers 2 autoresponders, Recurring autoresponder and Triggered autoresponder. With Recurring autoresponder you can send mails on a yearly, monthly, weekly and daily basis depending on the selected date. While with Triggered autoresponder, you easily can send emails to prospects and customers based on the actions that they take, like clicking on a particular link in email campaigns or for unique promotions and the reactionary messages. Prices: Starts at $19.95/month with the packages rates differing according to the contacts you have. Except for autoresponder service, this is a great all-in-one advertising solution. This autoresponder tool has high delivery rate and has an in-built shopping cart. It can also set up the payment options and affiliate promotions as well. This tool is great for people who wish to use an autoresponder with payment options. With this tool you get unlimited autoresponders, scheduled broadcast by specified date, unlimited follow-up per autoresponder, 24 hours access, etc. Prices: Basic package starts at $34/month and goes up to $249/month, with more packages in between. This email marketing service makes marketing and sale easy. It has many different options to send sales letters and newsletters by bringing together. This system was build mainly for small businesses. The autoresponder has subscriber management and newsletter tracking as well. It has become an autoresponder tool of choice for the serious marketers. Prices: Starts at $199/month and goes up to $599/month with many plans in between. This tool offers customizable, high quality newsletter services. 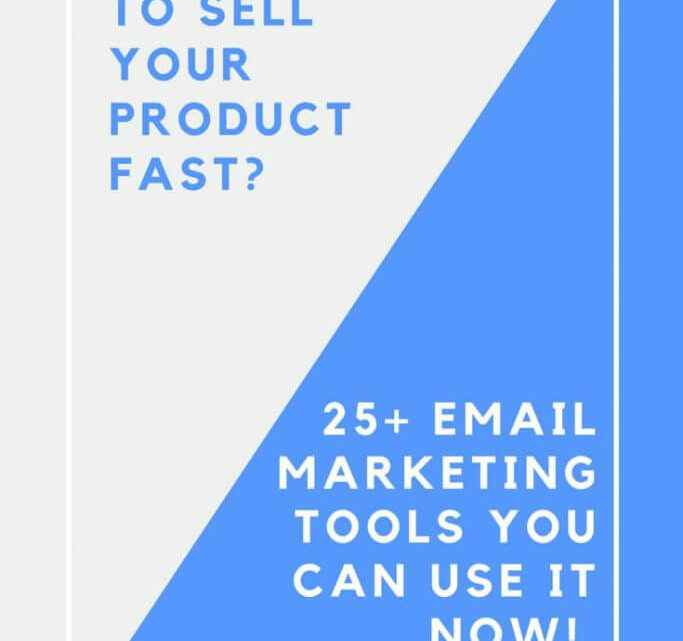 It’s a helpful email marketing service available for content in hot niche and you can plug this into any autoresponder only with a few clicks. It also has a multiple opt-in lists. This is one among the most excellent sequential autoresponder tool. It is simple to utilize and install this autoresponder integration with client website. This autoresponder is a features rich autoresponder. It has the capability to create multiple subscribers list, generate and send newsletters. This tool also has options to survey subscribers and analyze the results for best performance. With this, you can welcome clients whenever they sign up, greet clients on birthdays, follow up on emails campaigns activity such as clicks and opens, etc. This is another Autoresponder tool which has taken pre-programmed follow-ups to the next level and made a new leader of this field. You can have unlimited autoresponder along with 20 follow-ups messages for each autoresponder list. A daily log to track the traffic is also included with this tool. It is a great autoresponder available to build successful online businesses. Its powerful features really make it simple for you to create, manage and even profit from your email marketing list. Businesses organizations, clubs, home based businesses and entrepreneurs can easily remain connected to customers, members and prospects from anywhere using TrafficWave’s autoresponder. This is a comprehensive merchant solution with an autoresponder service. This has other features for merchant shopping car, email management, affiliate system, trackers, product management and more. 1MerchantCart has combined all the most powerful tools out there for any online business in just one outstanding business package It has in-built autorsponder and mailing lists manager. It helps follow-up automatically with all your customers, prospects and affiliates It also broadcasts new messages to your lists at any time. It is like most other autoresponders in the market, offering all the important and essential email marketing functions for Internet marketers. The whole process is simple and automated. It is one of the most professional nd cheapest autoresponders. They offer different packages for any budgets. This tool has been around ever since 2011 handing autoresponders and email marketing for people worldwide. They pride themselves greatly on their customer friendly autoresponders and their great flexibility while interacting with customers. Using this tool, you can build an autoresponder and email list to meet all your needs perfectly. Make an excellent first impression with welcome email delivered automatically to people that join your lists. Thank new customers, members or sales leads, for joining with promotion or discount. This has both paid and free version of autoresponder services. The features of this tool include online forum builder, autoresponders, easy integration in existing members and form processing in the landing pages. Its automated communications make sure that a client is reached at right time always and live chat makes sure that the questions are answered always. Now you can send unlimited follow-ups emails automatically with file attachments from domain of your choice using EZ Response autoresponder. You can also setup many automated letters sequentially according to your needs and also send them at the time you specify in autoresponder. Unlimited users, unlimited follow-ups and unlimited responders. This fully automated, reliable tool is available for 24*7. This autoresponder is a multi-users autoresponder system which was created to meet the diverse needs of the internet marketers. It offers you with the capability to follow-up quickly with prospects and closes a sale even without spending a big fortune in doing it. Its unlimited autoresponders can help you have unlimited personalized messages that are pre-programmed to move out according to a set schedule. All in all, this is a comprehensive autoresponder hosting solution. Do you want a customizable self-hosted, free autoresponder? For as many users and messages as you wish for? To set the time you want? Infinite Responder is a newsletter hybrid and autoresponder which lets you send out as many emails and emails as you want to your specific list. This tool can work both as a newsletter mailer and a sequential autoresponder. It is best for email courses, lead generation, newsletter and other similar email campaigns. It is the best, 100% free autoresponder. If you are tired of paying for the other autoresponders and ready to automate your follow ups fully, then FreefollowUp is ideal for you. It is available for 27*7. All you need to do is just sign up for a free account, create your message, add the leads and you are on way. This is a completely FREE autoresponder tool, which doubles up as free target email marketing tool for all its clients. You also get to put Free Ads on other autoresponders. You can easily set up the follow-up messages using this system easily. You get 24*7 customer support with this easy to use autoresponder tool. It is another FREE autoresponder on the Internet. It can meet all the strategies of newsletter requirements and automated follow ups email setup option. What Are The Facts About WP Engine That Will Make You Buy It?